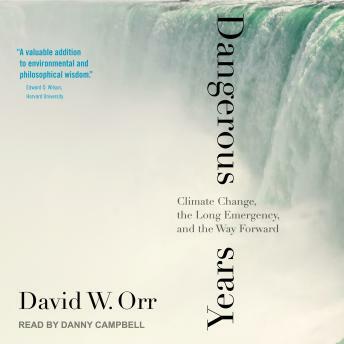 This gripping, deeply thoughtful book considers the future of civilization in the light of what we know about climate change and related threats. David Orr, an award-winning, internationally recognized leader in the field of sustainability and environmental education, pulls no punches: Even with the Paris Agreement of 2015, Earth systems will not reach a new equilibrium for centuries. Earth is becoming a different planet-more threadbare and less biologically diverse, with more acidic oceans and a hotter, more capricious climate. Furthermore, technology will not solve complex problems of sustainability. Yet we are not fated to destroy the Earth, Orr insists. He imagines sustainability as a quest and a transition built upon robust and durable democratic and economic institutions, as well as changes in heart and mindset. The transition, he writes, is beginning from the bottom up in communities and neighborhoods. He lays out specific principles and priorities to guide us toward enduring harmony between human and natural systems.